Saab CEO Muller is still confident about the automaker's future. Saab is filing for protection from creditors in Swedish district court, the automaker's owner, Swedish Automobile, said today. Saab is seeking court approval for a voluntary reorganization to secure short-term stability while it waits for funding from Chinese investors Pang Da and Zhejiang Youngman, Swedish Automobile said in a statement. Victor Muller, CEO of both Saab and Swedish Automobile, said in a statement: "We have concluded that a voluntary reorganization process will provide us with the necessary time, protection and stabilization of the business, allowing salary payments to be made, short-term funding to be obtained and an orderly restart of production to be prepared." Muller remains optimistic about Saab's future. "While the voluntary reorganization process will no doubt present us with a number of tough issues and decisions, I believe that Saab Automobile will emerge stronger from this process," he said. Muller added that "the potential for Saab Automobile as a viable, independent premium car manufacturer is there, as shown by the rejuvenation of our product portfolio, approximately 11,000 orders and the conditional long-term funding already in place through the binding agreements with Pang Da and Youngman that will give us access to the Chinese market." Muller has agreed to sell a combined 53.9 percent stake in Saab to Chinese auto distributor Pang Da and automaker Zhejiang Youngman for 245 million euros ($351 million). The deal is awaiting approval from the Chinese authorities. At a press conference on Wednesday, Muller said approvals would come "relatively quickly". "We are of the opinion that the approval will be ... timely," he added. Saab's subsidiaries Saab Automobile Powertrain AB and Saab Automobile Tools AB are part of the reorganization filing submitted to the Vanersborg court at 9 am local time. But other units, including Saab Great Britain, Saab Cars North America and Saab Parts AB, are excluded. Muller said Pang Da and Youngman both support the reorganization. "Swan and Saab Automobile are of the opinion that, considering Saab Automobile's current limited financial resources, a voluntary reorganization will entail the best preconditions for using existing resources in the most efficient way," a Swedish Automobile statement said. If the court approves, the reorganization will be a self-managed, legal process under Swedish law headed by an independent administrator appointed by the court who will work closely with the Saab Automobile management team, the statement added. If the court approves Saab's filing, the reorganization will be for three months, although the court may later extend this period to a maximum of twelve months. "Swan and Saab Automobile are confident that they will secure additional short-term funding for the reorganization period and are currently in negotiations with several parties about obtaining such funding," the statement said. 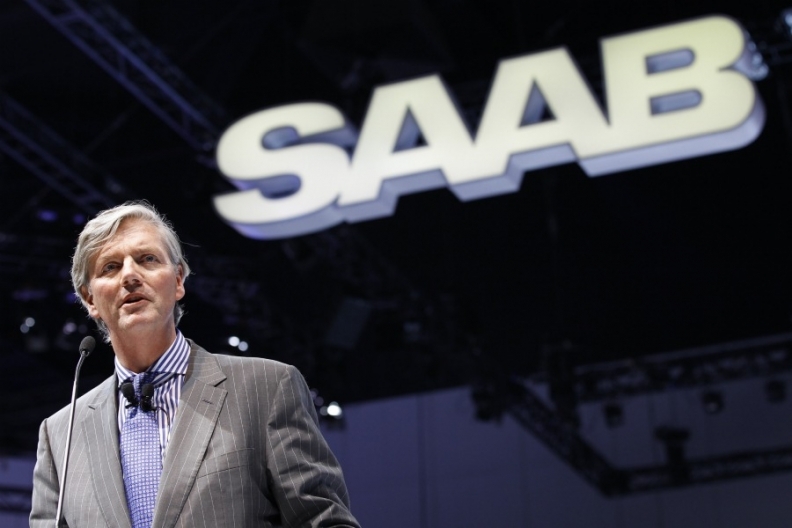 As part of the process, Saab has formulated a reorganization plan aimed at lowering its cost-base and creating a viable, competitive and independent organization. The plan will be presented to creditors in more detail within three weeks, although this period could be extended by the court, Swedish Automobile said. It said it has proposed that the court appoints Swedish lawyer Guy Lofalk as administrator, who also was the administrator in the 2009 Saab reorganization after then-owner General Motors Co. withdrew support for the brand. Muller and the Saab management team will cooperate closely with the administrator to execute the reorganization plan, the statement said. GM sold Saab to Spyker Cars in 2010. Spyker changed its name to Swedish Automobile earlier this year. Saab suspended production in late March amid a cash crunch. After brief restarts, the factory in Trollhaettan, Sweden, has been halted since early June. Saab delayed paying wages last week, the third consecutive postponement in as many months, prompting labor leaders to start a process that may lead them to seek a bankruptcy declaration.